For many people, a kitchen is a favorite place in the house, where you can create exquisite culinary masterpieces and taste them, or spend time with your loved ones. To do this, you need to create the most comfortable atmosphere, having thought out not only the decorative but also the practical component of the interior. 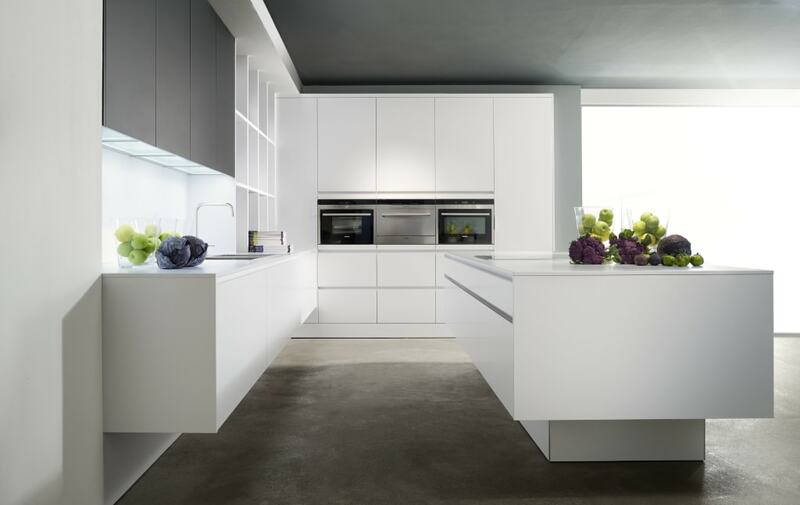 The main trends, rules, and tips on the design of the kitchen – all this you can find in our article. 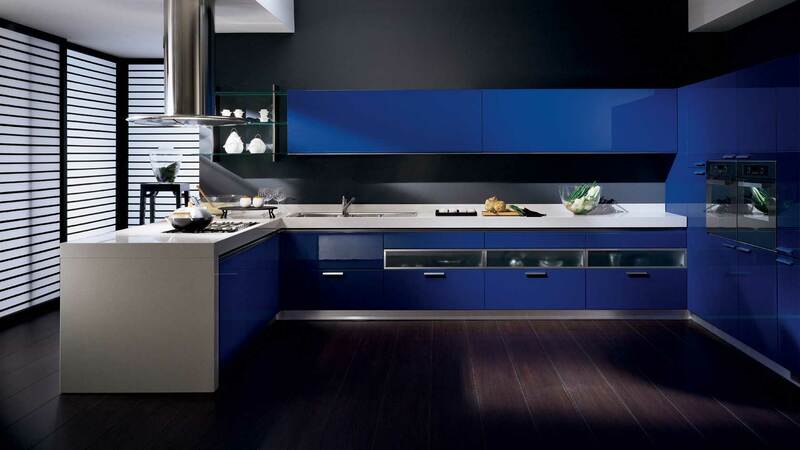 The first step in the design of the kitchen – the choice of the primary method. Even if you want to create a unique, not like another project, you need to follow the laws of a particular design direction. Otherwise, the interior will look ridiculous, ill-conceived and disharmonious. But the good news is each style offers a full field for creativity. The main thing is to follow some basic recommendations. The fundamental principle of the style lies in the name: high-tech is high technology, the use of which is mandatory in a modern interior. That is why high-tech is an excellent option for the kitchen, where comfort and ease of use of household appliances come first. High-tech kitchen design is part of the smart home concept, which became an integrated part of our lives. For decoration and furniture take modern materials, such as plastic, glass or metal. Glossy smooth surfaces give the room a slightly futuristic look. The color palette is restrained, often based on the contrast of dark and light. 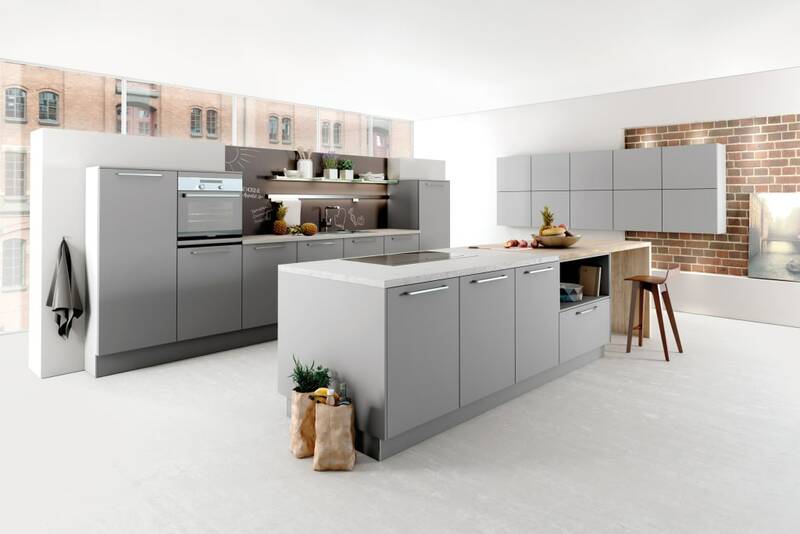 It is difficult to imagine a kitchen design in high-tech style without “smart” fittings: all kinds of lifts, drawers, dividers that simplify life and rationalize space. Buying home appliances can “fly into a pretty penny,” since preference is given to the built-in, most modern models with touch controls and LED screens. However, this is not a meaningless acquisition, but a contribution to comfort and durability, because the smart kitchen is not just a concept anymore. Despite the development of technology and the tendency to rationalize space, the classic style still does not lose popularity. Of course, this is not about the traditional pompous aristocratic interiors, filled with the beautiful, but useless decor. Classic adapts to the needs of our time, so it looks quite modern. 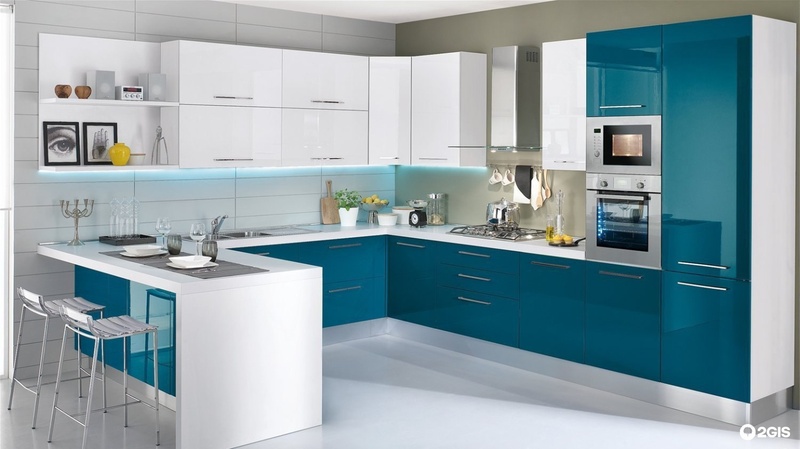 Designing in this style is better a kitchen with an average and large area, where it will look most appropriate. You can take a dark or light palette; only shades should be as natural as possible. The same rule applies to finish materials. Wooden furniture with a thick texture, a small number of patterned elements, facades with frames and glass doors – these components are enough for the artistic content of the classic interior. The style of French villages in the space of urban apartments is rarely found in “pure” form. Usually, this style is combined with modern classics. The kitchen itself is normally combined with the dining room and living room. The above is related to the first rule of provenance – as much space as possible. The second thing that catches the eye is light pastel shades as if burned out in the hot Mediterranean sun. Preference is given to white, cream, blue – the most natural and unobtrusive colors. The furniture should have an antique look, which is achieved through the effect of artificial aging. The priority is natural materials or high-quality substitutes that cannot spoil the authentic atmosphere. Kitchen set includes a large number of open shelves, showing dishes, pots, and napkins that enhance the Provençal charm. 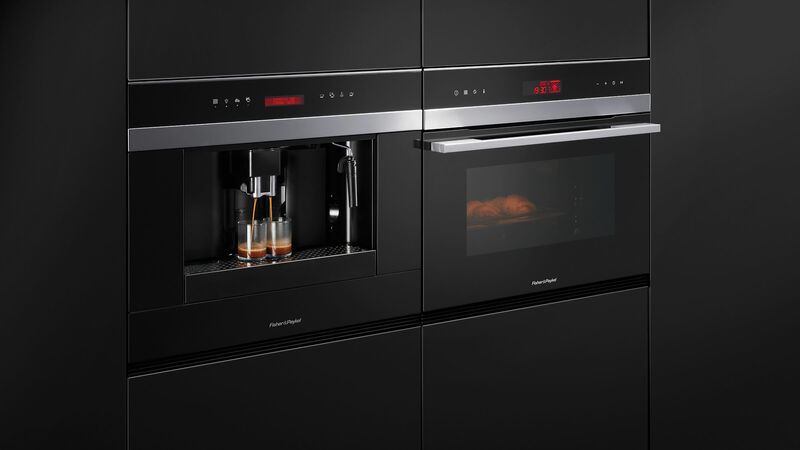 But home appliances are better hidden from prying eyes, with which the built-in models will do an excellent job. Unlike the previous solution, minimalism can be entered both in spacious apartments and in small apartments. This style can transform any space, with an emphasis on functionality. 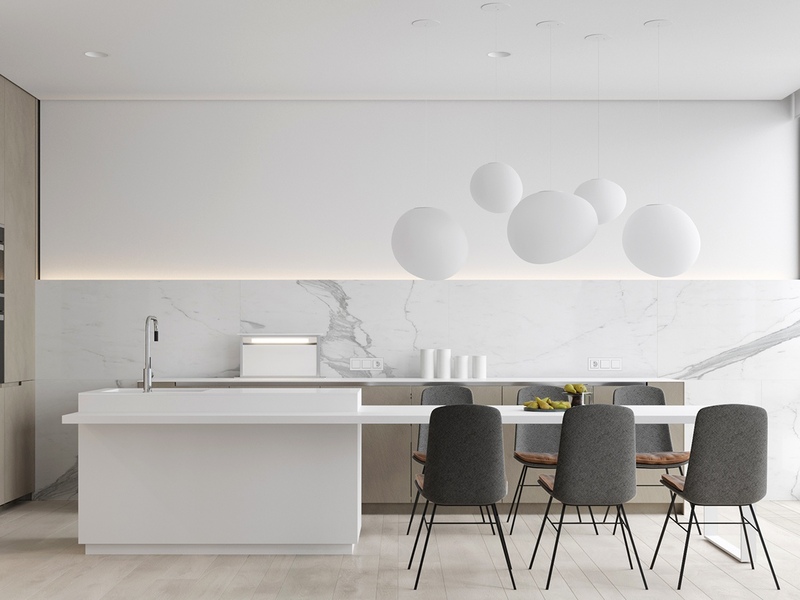 Clean lines and explicit forms of laconic furniture with integrated appliances seem to form a monolithic plane – this is how minimalism creates a sense of order and cleanliness that is important in the interior of the kitchen. The focus is not on decorative elements, but on functionality, which allows you to organize the area intelligently. It uses no more than 2-3 shades, one of which can be bright. 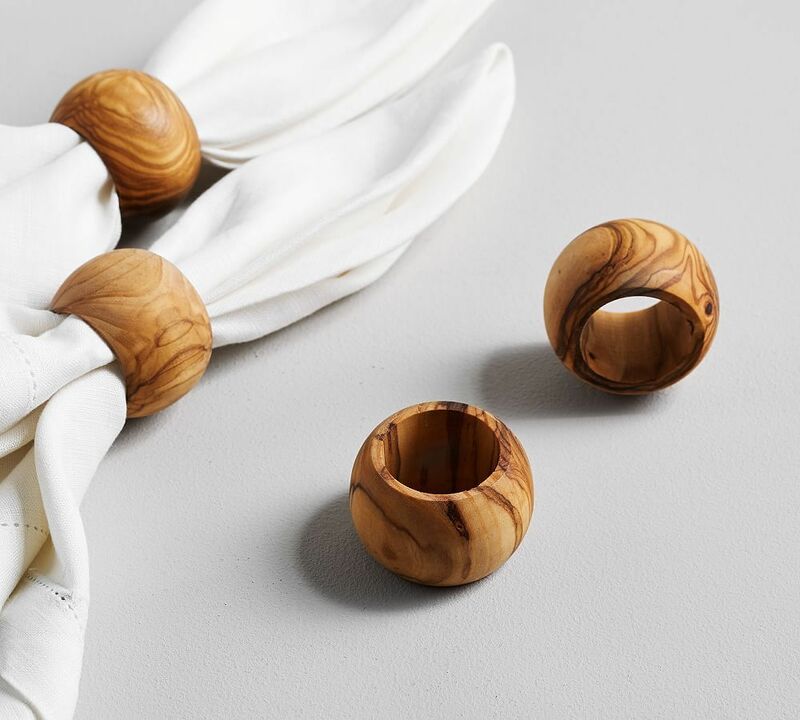 In general, preference should be given to neutral colors or the beautiful texture of natural materials. An excellent solution for kitchens in which the sun has become too frequent a guest because of the south-facing windows. Scandinavian is frosty but very cozy. In addition – this style is suitable for interiors of all sizes. As in the case of minimalism, the design is secondary here – practicality comes first. 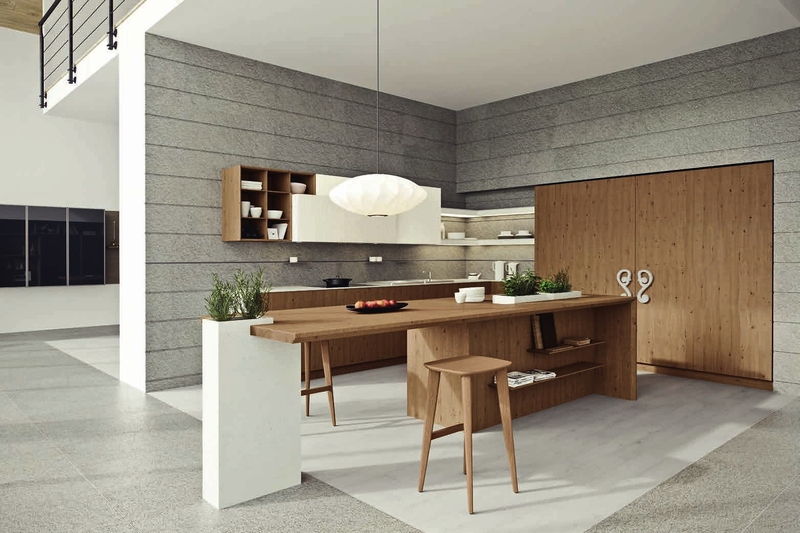 Such kitchens love the white color, natural materials, especially wood, as well as strict forms. 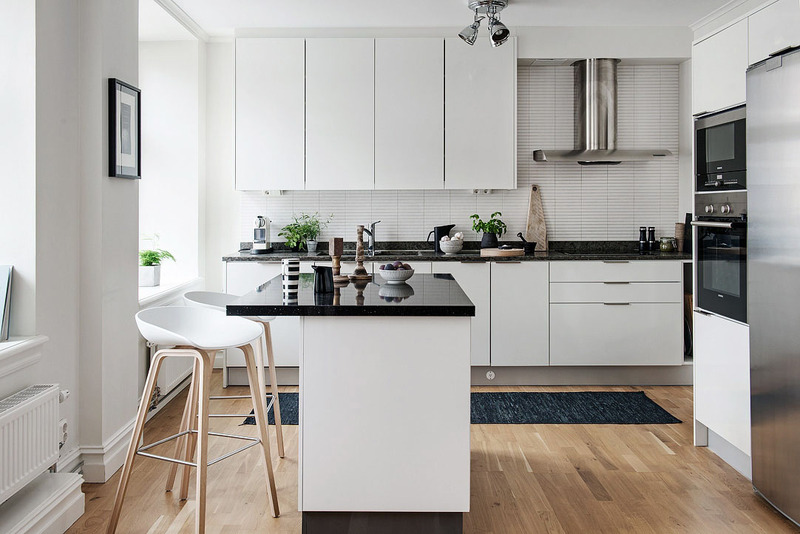 If someone thinks the Scandinavian style is too simple, then it would be appropriate to add a few bright details, diluting the slightly sterile atmosphere. Whatever style you adhere to, so that the room looks modern, it is recommended to use a color scheme with 2-3 shades that are in harmony with each other or dwell on a one-color design. 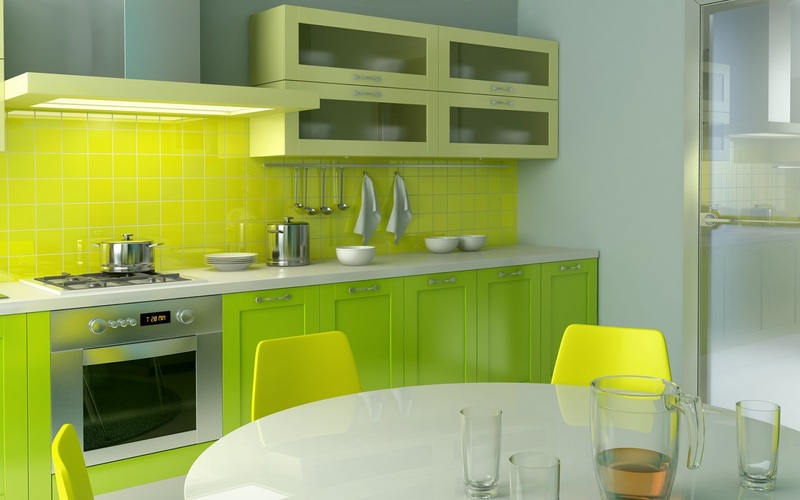 Perhaps the best option for kitchen design, which can serve as a primary color or a neutral background for others. 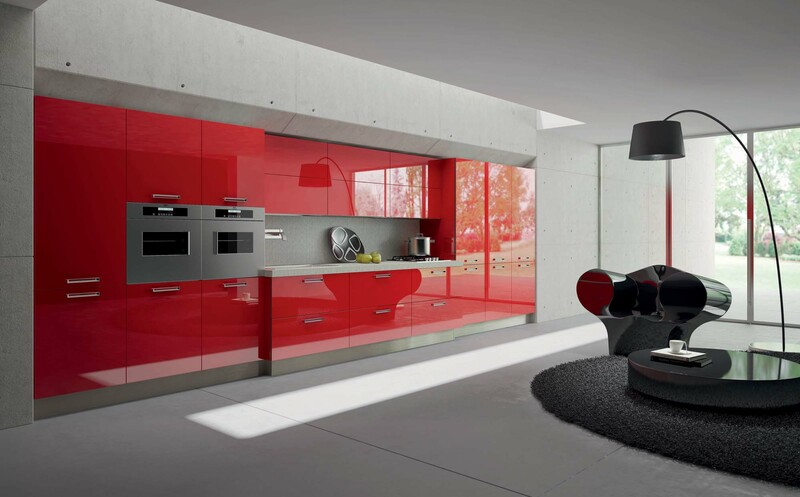 There is an opinion that the bright interior is quickly polluted, but it also depends on the material of the surfaces. On the other hand, it looks the most spacious, comfortable, and also has a positive effect on the psyche. 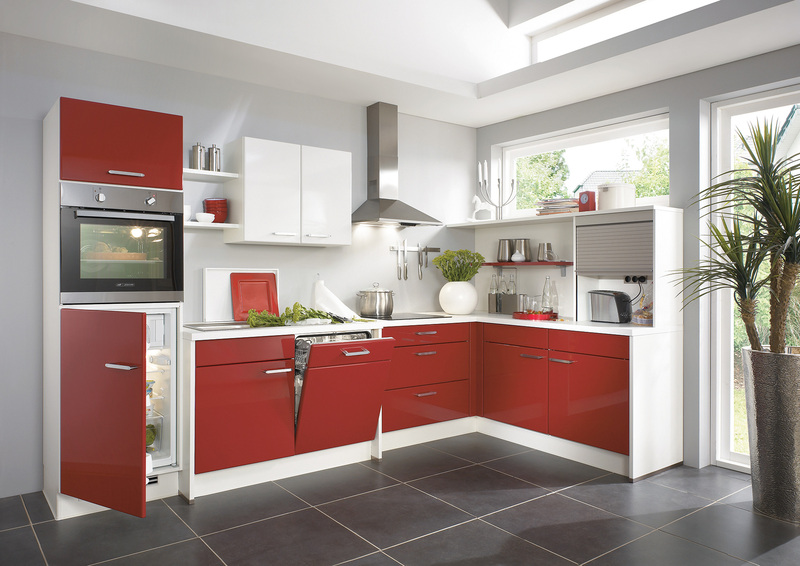 Red is one of the warm colors that can bring in your home and kitchen a unique style and charm. 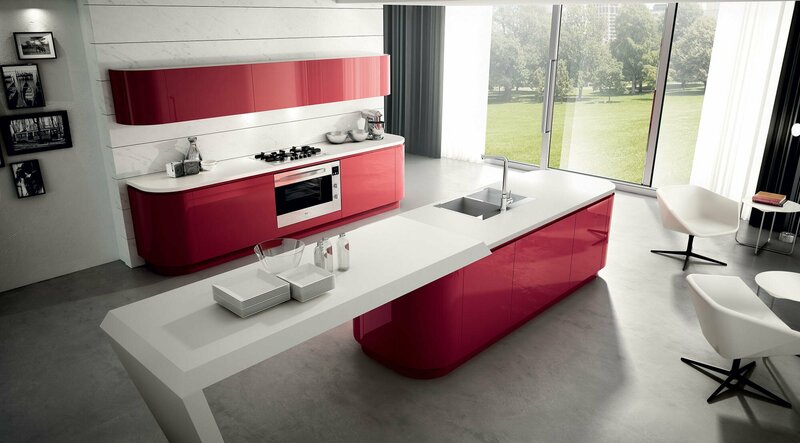 Often used as an accent in the interior design the red color is one of the best to choose in case the traditional white color design is not your favorite. Do not think that the interior of the kitchen in gray colors looks dull or gloomy, on the contrary – it is very stylish and modern. To avoid an adverse effect, it is enough to come up with a good color combination, for example – with white, black, blue hues. 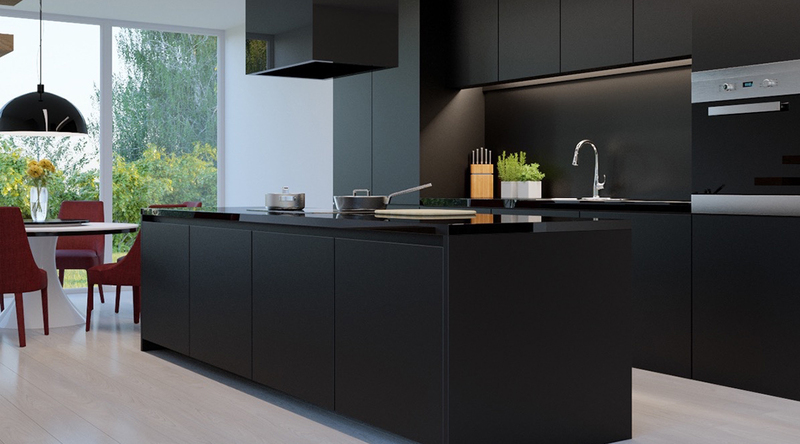 I agree that not everyone would accept black color in their kitchen as a part of the interior design. Still, you will agree that the black color looks stylish. 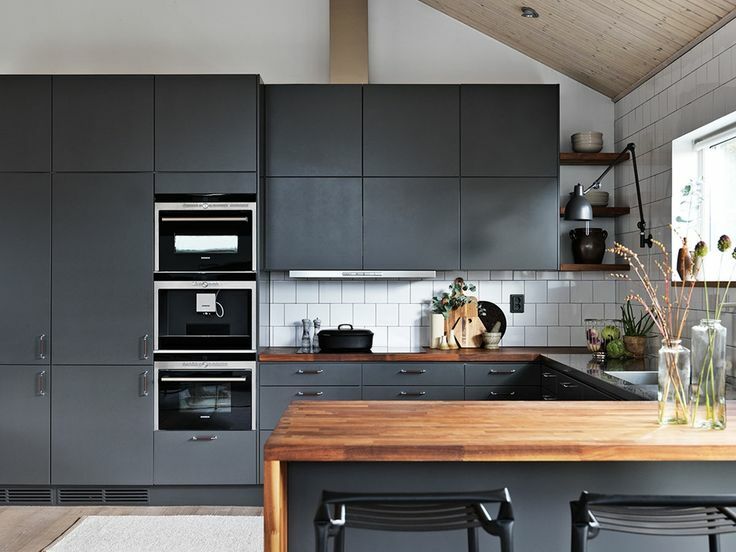 Regarding the cleaning or maintenance black color is not among the practical colors, but if you don’t mind these small details have a look at these beautiful kitchen designs in black. 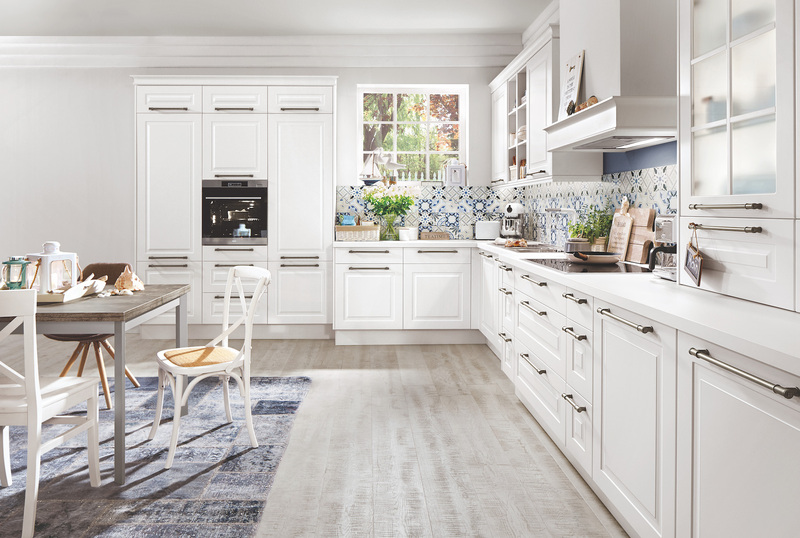 Natural options, such as cream, walnut or shades of light wood, are perfect for a classic, Provencal, as well as minimalistic design of the kitchen. A monochrome design will help create a cozy and warm atmosphere. Refreshing and related to the sky and the sea, the blue color is ideal for a quiet, peaceful interior. 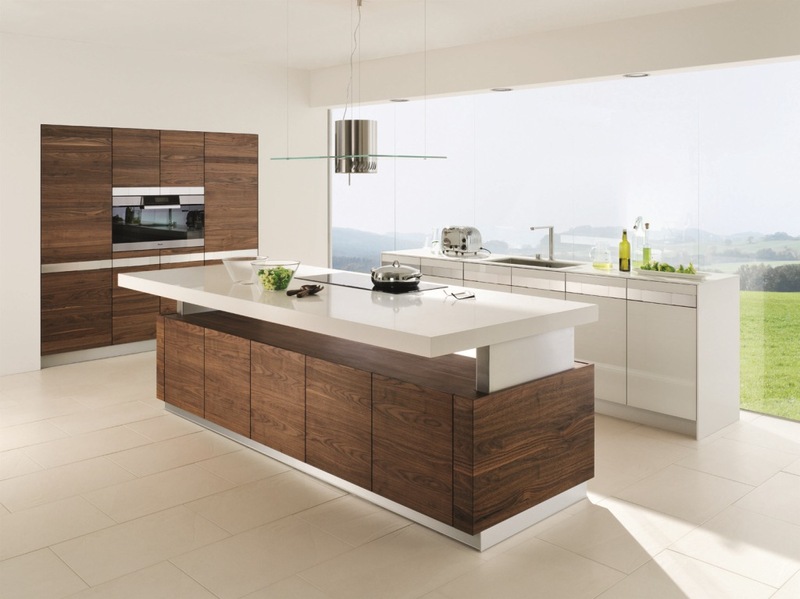 It is better to use when designing the facades of kitchen furniture, combining with white or brown, grey and black. 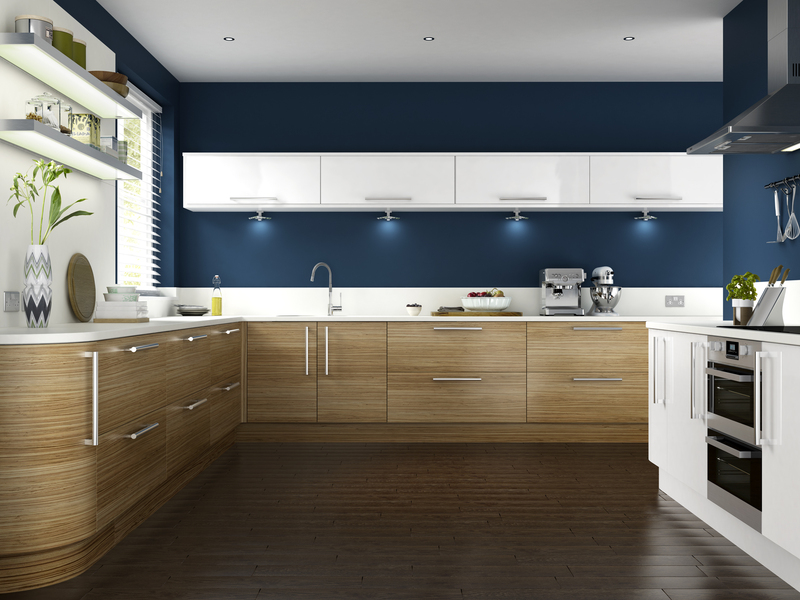 If you follow current trends, then be sure to find a place in your kitchen the most appropriate shade. It will make you a little closer to nature, even in an urban environment. Decorating any room is like a frame that cherishes the “filling” and emphasizes its beauty. In the case of a kitchen, the choice of materials plays a vital role, especially if you want it to serve you as long as possible. The flooring for the kitchen should not be afraid of a drop of grease, food pieces, and moisture. It is from this that the first thing to be repelled in the selection of materials. An excellent solution – a combination of coverage in different zones. For example, in the working area you can put ceramic tiles that are resistant to external influence, and in the dining area – parquet or laminate. 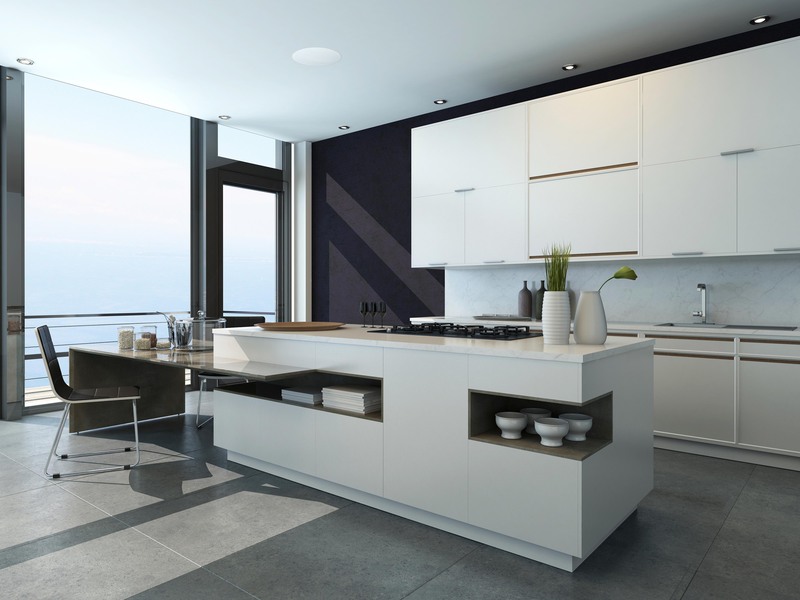 In kitchen interiors, ceramic tiles are most often found in the apron area, as well as walls painted or wallpaper coated. Also, wall cladding and decorative plaster are used, for example – imitating marble. The combination of finishing materials allows not only to diversify the design but also to design it according to the principle of functionality. Monochromatic surfaces remain in priority. The choice of materials for finishing the ceiling in the kitchen depends on the style or height of the room. If the latter figure is low enough, a flat white coating will be the way out. 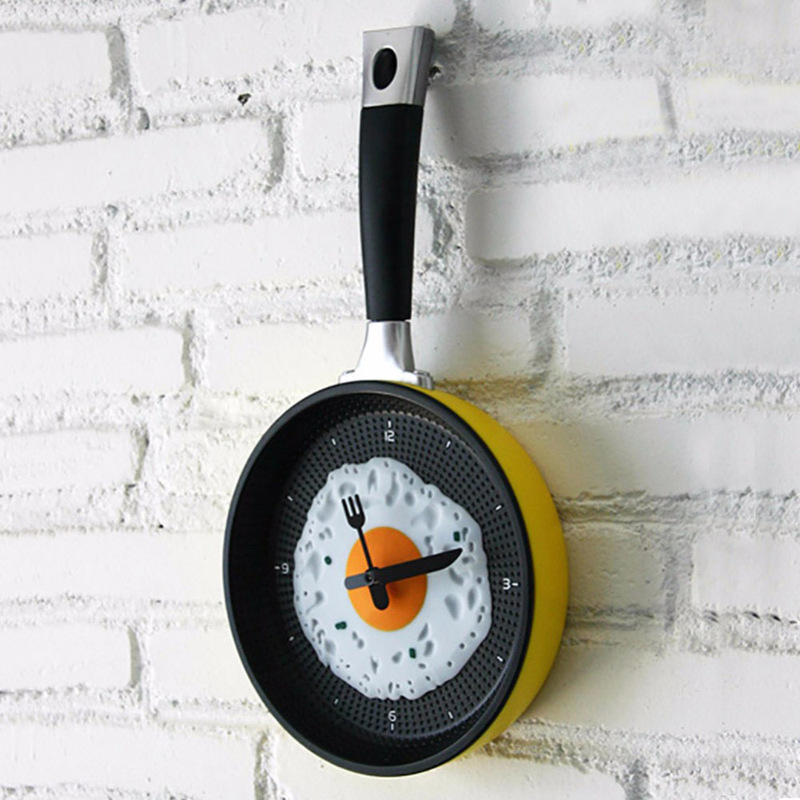 Moreover, it looks stylish and fits any space. Stretch ceilings can be installed in a modern interior with high walls. They also help to organize a sophisticated lighting system. This choice depends on your needs: someone spends most of his life in the kitchen, preparing breakfasts, lunches, and dinners for a large family; and someone comes in once a day to warm up the purchased food in the microwave. 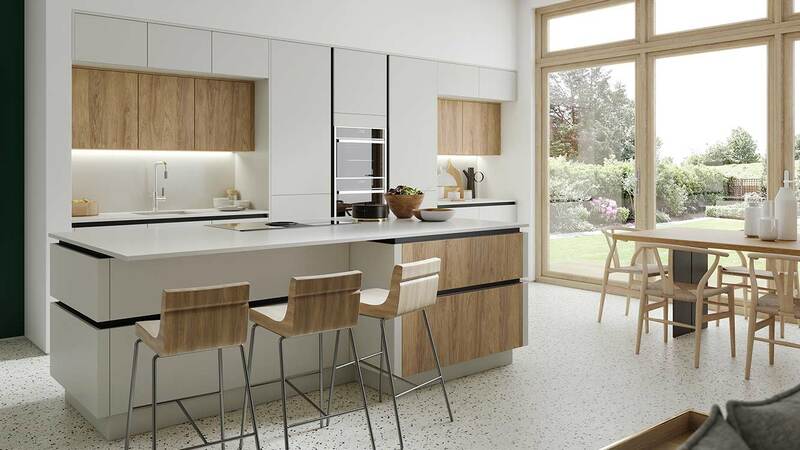 Modern kitchens often include not only a work area and storage space but also a dining area – which can be just a bar counter that separates the space, as well as a sizeable high-grade dining room. Besides, kitchen sets vary in layout, which depends on the geometry and size of the room. There are angular models, P- and L-shaped, straight, and also island types. The latter is recommended to be installed in medium or large size. 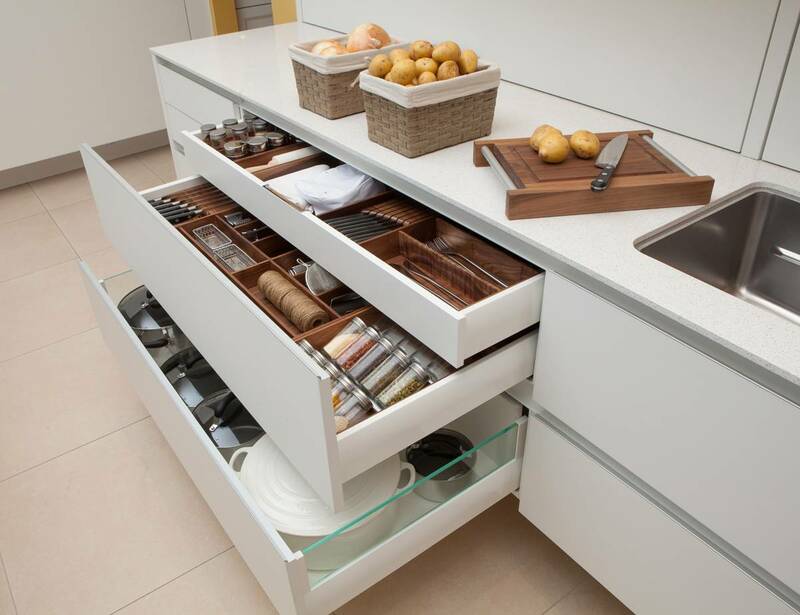 Regardless of the chosen style, kitchen furniture today is manufactured to serve ergonomics, practicality, and functionality — for example, see the modern drawers, shelves or modular cabinets. The household appliances built into the headset are very popular today, which allows not only to save space but also to create an aesthetic appearance. As for electrical appliances, without which no modern kitchen can do, here the list varies. Some owners may add a washing machine or even a TV to an obligatory set. Others will have to use the entire usable space, including lockers and drawers, to place only the main items. In any case, a place for every detail needs to be thought out in advance! The main rule for the decoration of any space is “Don’t overdo it”. The same rule applies to the kitchens. For example, placing too many porcelain figurines, you risk at the very culmination moment of cooking to stain or overturn the fragile detail. Of course, a cozy atmosphere is essential here, but it can be created with the help of other, not necesarily expressive means. The glass facades look aesthetically pleasing, through the doors of which you can see dishes, towels or cutlery. Do not forget about traditional napkins, aprons, and other textile details – they can be a bright detail in thoughtful kitchen design. 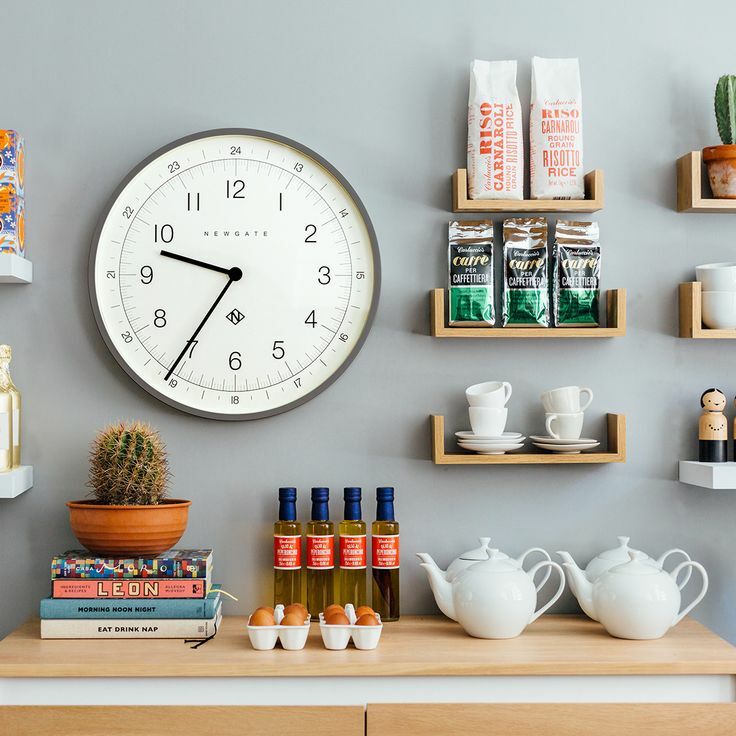 Even some napkin boxes or cute salt cellars can decorate the room beyond recognition, and the flowers in the pot will refresh the high-tech interior. 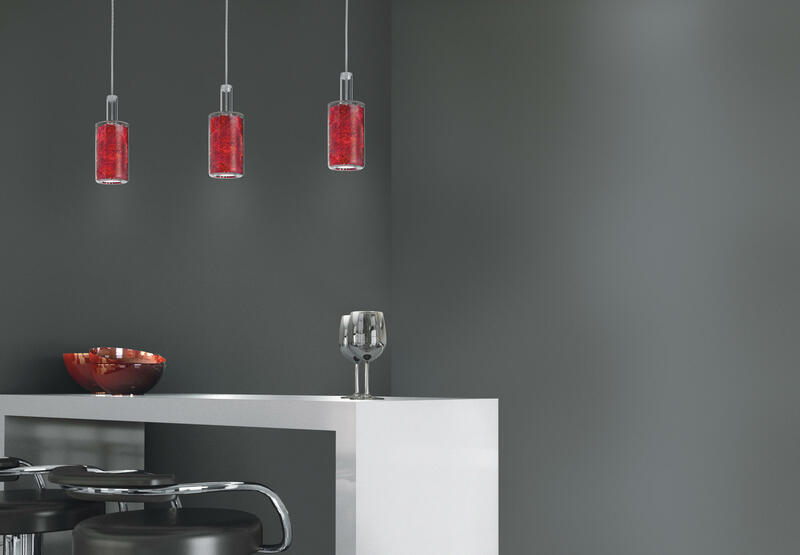 Each functional area in the kitchen should be fully illuminated: work surface, stove, sink, bar or island, over which you can install hanging lamps. A good solution is the LED built-in light sources along the kitchen apron. The hood can also be used as a support for additional fixtures. In addition to local highlights, you need to think about the general lighting. Traditional chandeliers or spotlights are suitable for this. 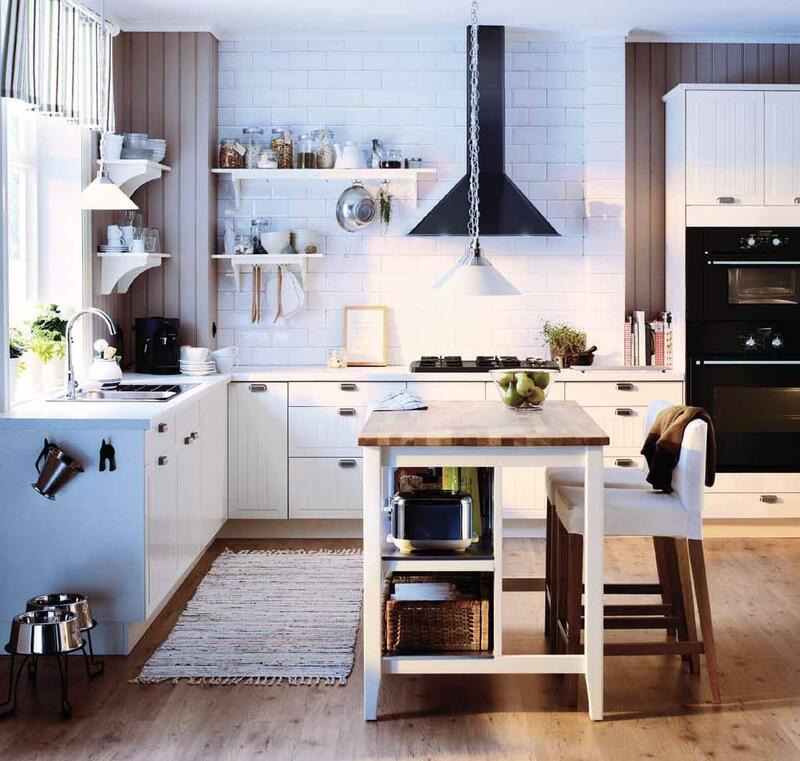 The above tips fit perfectly into an ample space, but what about the owners of small kitchens? We’ll have to try a little more, but you can solve this problem. And for this, you need to follow a few rules! First, it is recommended to resort to changing the layout, combining the kitchen area with the living room. Lack of borders will create a feeling of freedom and spaciousness even in a small place, and different types of partitions will help to divide the housing visually. Secondly, choose light shades and mirror surfaces. It is desirable that the color of the headset is not very different from the finish. Thirdly, pay attention to straight or L-shaped layouts, which will leave a few free square meters for movement. The latter option will allow you to use the often inactive zone in the corner of the room. Small kitchen design ideas – large space divided into zones. In the vast spaces, the problem of how to fit this or that doesn’t exist. Still, the arrangement of the kitchen space is essential, even if not everything must be squeezed to fit. 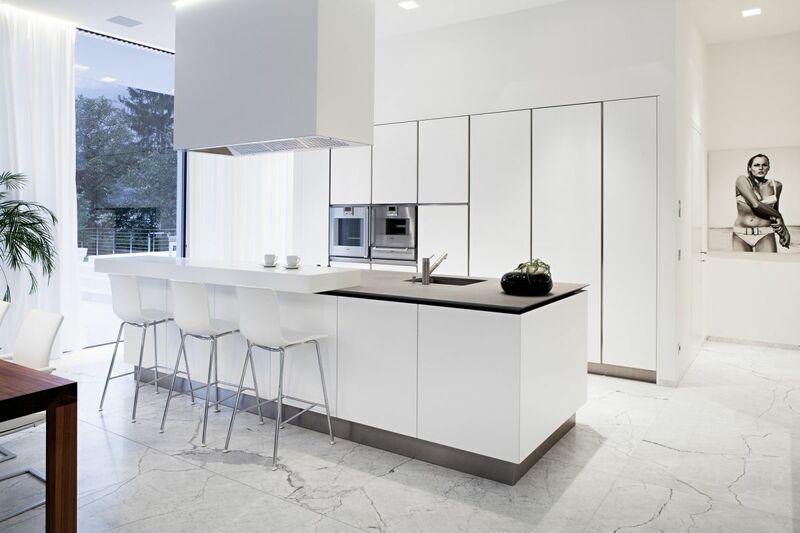 Here are some design solutions which solve the problem with ample kitchen space and can be used as an idea for your project. 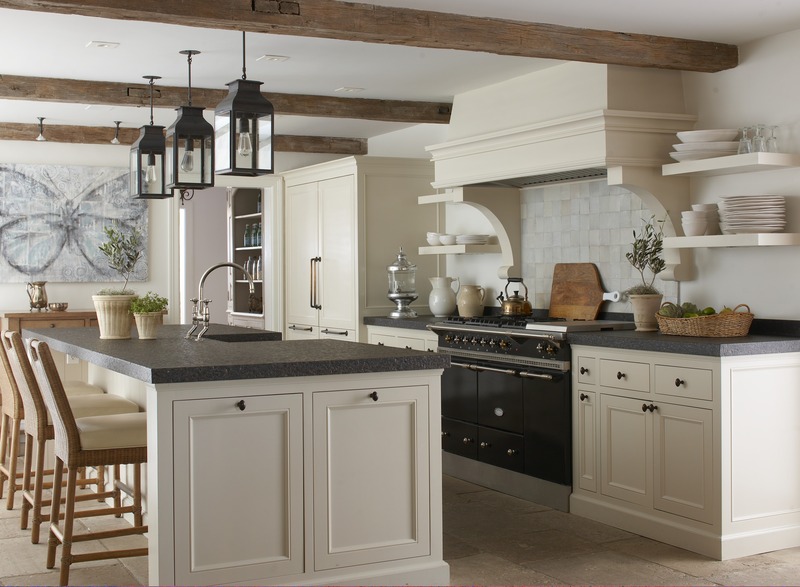 Fifty shades of gray: interior design in dark colors for large kitchen spaces. 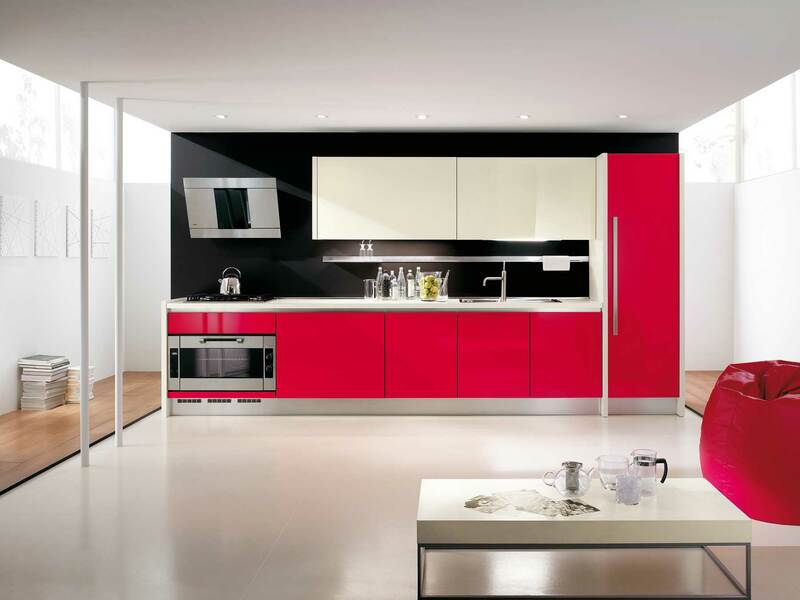 We hope that the recommendations collected in the article will help you find the perfect kitchen design for your home. More original ideas you will find in our other collections of photos for inspirations and beautiful interiors!